Possibly the 109 bus ? These buildings have been cleared and this area is waste ground in 2013. Railway line. Leading towards the top to Manchester Piccadilly via Ashburys and Ardwick, and to the right of the image to Gorton and Fairfield. This long shed and the two smaller ones at its end are the principal buildings still remaining on the site. Also to be seenn are a small low structure once used for first aid and what used to be the cycle sheds. EAW004389 has a photo taken inside in 2010. The remainder of the site is used as a car park and for vehicle storage by the local council. There are several more recent buildings. "Cab and Ashpan" and "Bogie 'shop'"
Tender "shop" and boiler "shop"
This is the oldest engine made at Gorton I could find, a steam tram built in 1885 as a speculative build. 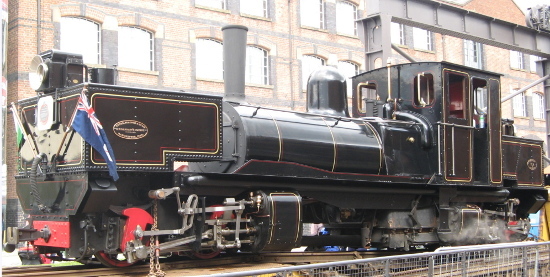 It was sent to New South Wales, Australia but did not sell, was shipped back and then used as a works shunting engine. 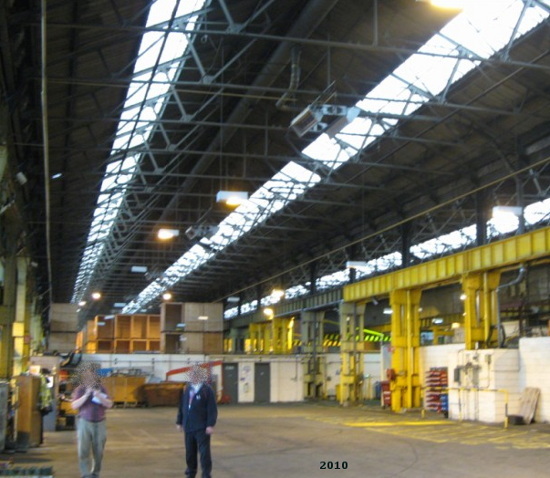 Inside one of the sheds in 2010. Now used for storage by the local council. 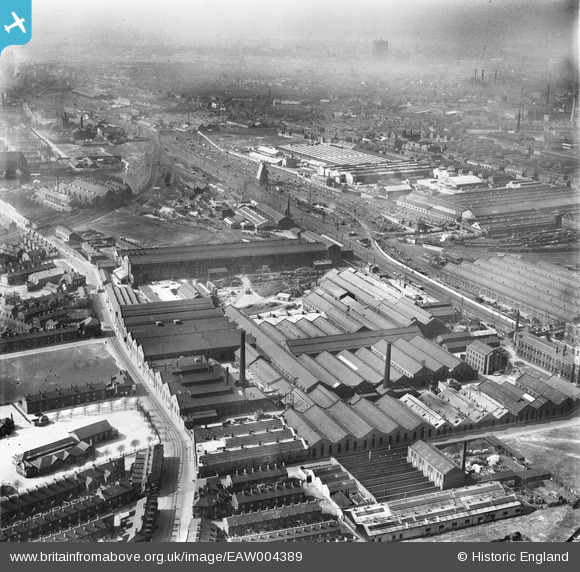 The Gorton works produced steam engines for the world, which unfortunately used a wide variety of distances between their railway lines ("gauge"). 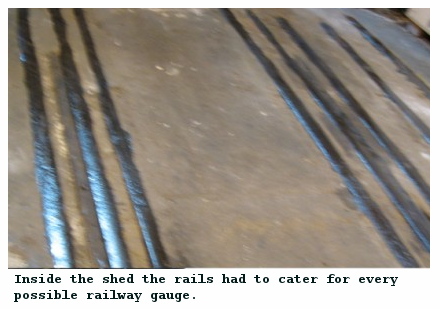 This resulted in the workshops have a remarkable set of multi-gauge lines as seen in this photo. 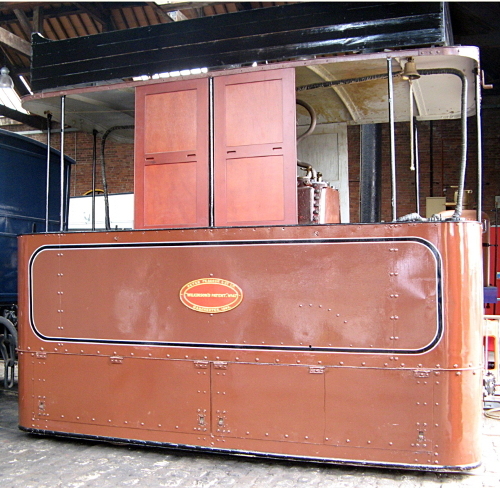 The Gorton works manufactured articulated steam engines, to a design by Garrett, with the front and rear bogies brought out to the front and rear, carrying the water and fuel and the boiler slung between them. These engines were very powerful and much used overseas. Here is a photo of the first articulated steam engine made at this site, the K1 (noe repaired by parts from K2), manufactured in 1909. It was sold to Tasmania in Australia, but has now been repatriated and is domiciled in Wales. 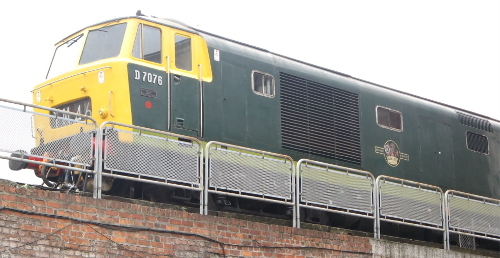 A diesel engine made in Gorton in the 1970s, type 35.